Dogs cope very well with hydrotherapy as a form of exercise. However, for the welfare and safety of your dog, it is essential to get advice from your Veterinary Surgeon before your dog can start any swimming programme. All dogs must be referred by a veterinary surgeon, whether it is for a specific condition or purely for fun and fitness swimming. It is an offence for any person other than an owner, to treat a dog unless the permission of the veterinary surgeon is obtained. Splash Paws will NOT treat any dog without a signed Veterinary Referral Form which can be downloaded from the link at the bottom of the page. Obesity – weight loss in conjunction with a controlled diet to improve fitness and quality of life. The non-weight bearing, non-impact movement in the pool is gentler on joints, than land based exercise. Fitness – for Show and Agility dogs. Puppy swimming – from the age of 6 months (unless referred for medical reasons) we will teach your puppy to be confident in water. 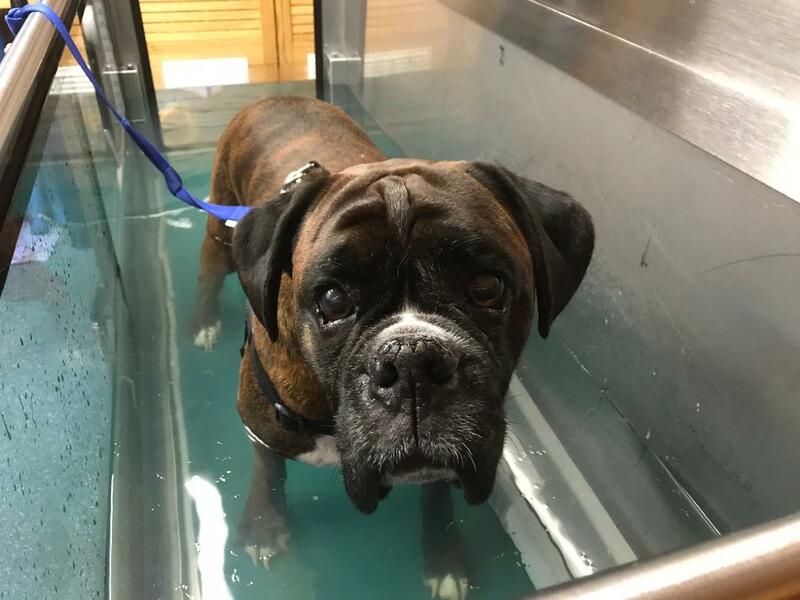 If you would like to know if hydrotherapy would benefit your dog please contact us or have a chat with your veterinary surgeon.